Bright fabrics are used to create a variety of decorative cactus that fill a boutique window. 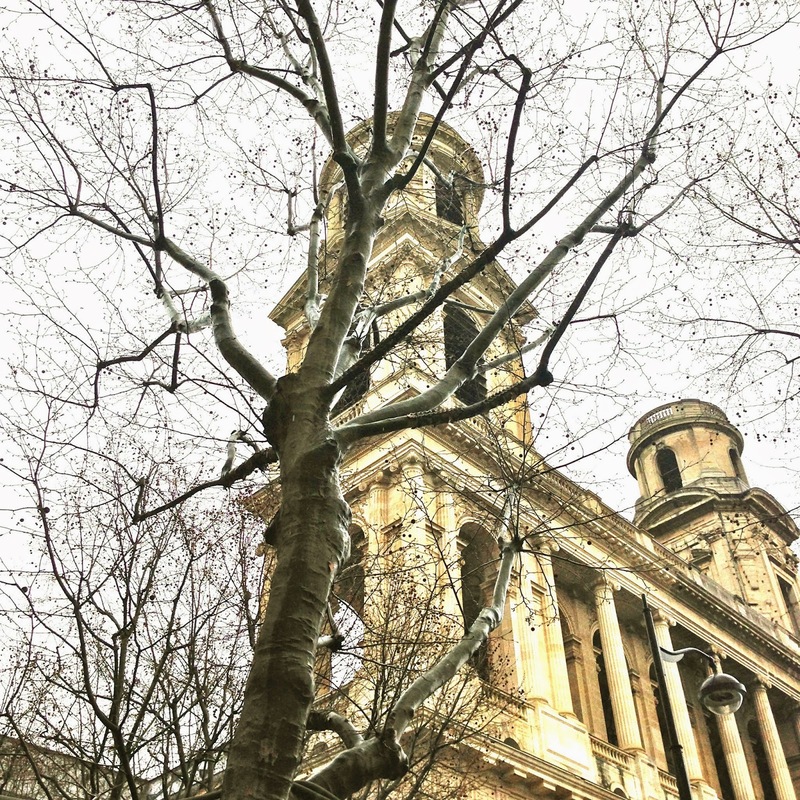 When the drums of the French Revolution began to roll the bells of Saint Sulpice fell silent, as did work on the south tower which was abandoned and never completed. Late March showers catch some off guard in the early evening as they head for home. 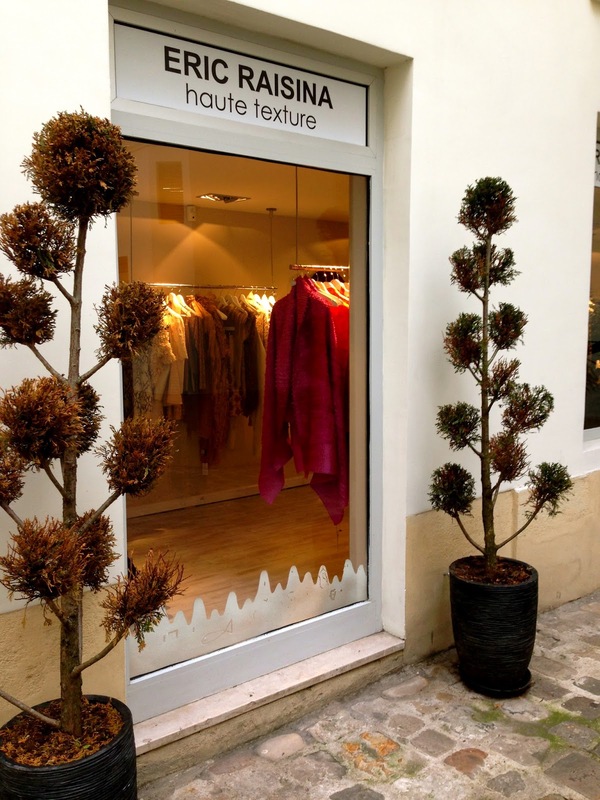 Small boutiques, off-the-radar designers, beautiful fabrics: in a hidden passageway "haute texture" attracts the fashion minded. 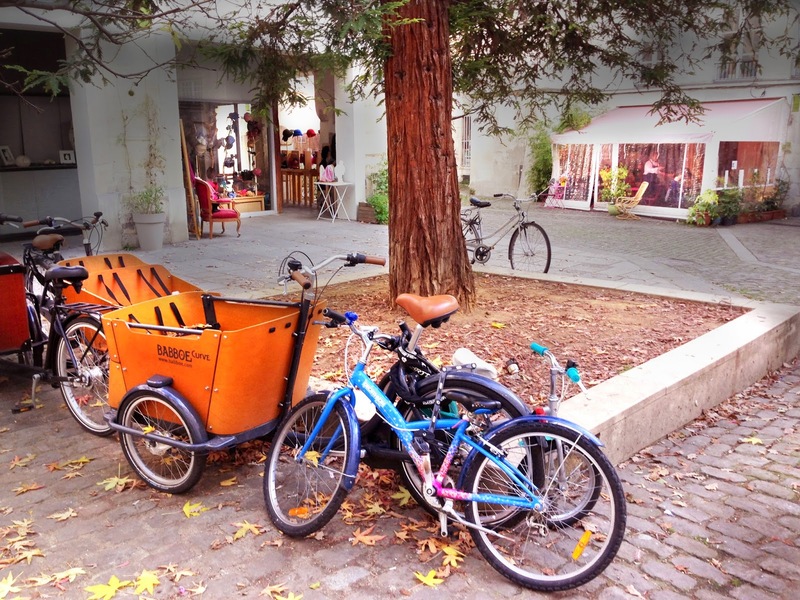 Always something unusual at a small antique shop near the Delacroix Museum, from vintage toys to chandeliers, furniture, and heads once used to display fashionable hats. One of several inside Village Saint Paul. Antiques, bric-a-brac, hot chocolate and a charming hat shop are some of the finds that await flâneurs and flâneuses. 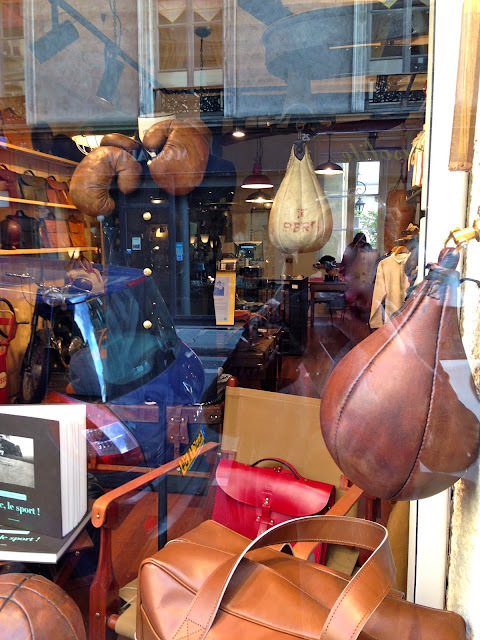 A leather goods shop in the Marais district is decorated with old-fashioned boxing paraphernalia. A banner outside a gallery in the Latin Quarter announces figurative American artist H. Craig Hanna. Classic eclairs from La Maison du Chocolat led Paris' éclair trend well before other specialty shops jumped on board. 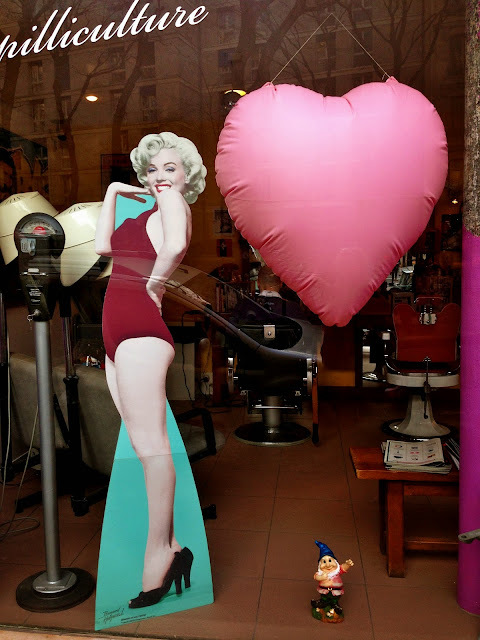 An inflated heart, a cutout of Marilyn and a tiny gnome decorate the storefront of a barbershop. 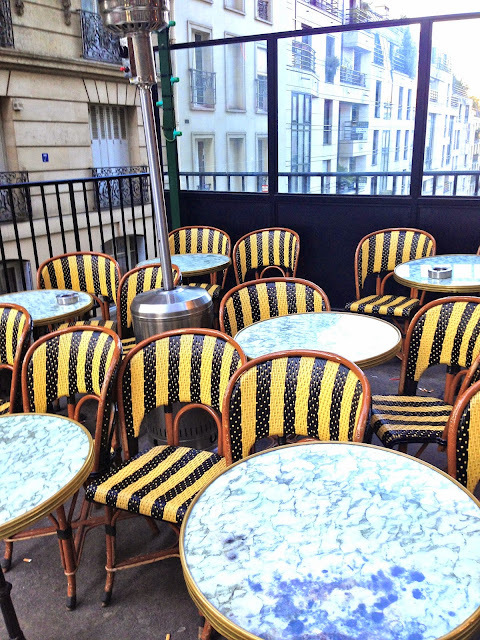 A heat lamp on the terrace of this nook café takes the edge off a chilly morning. 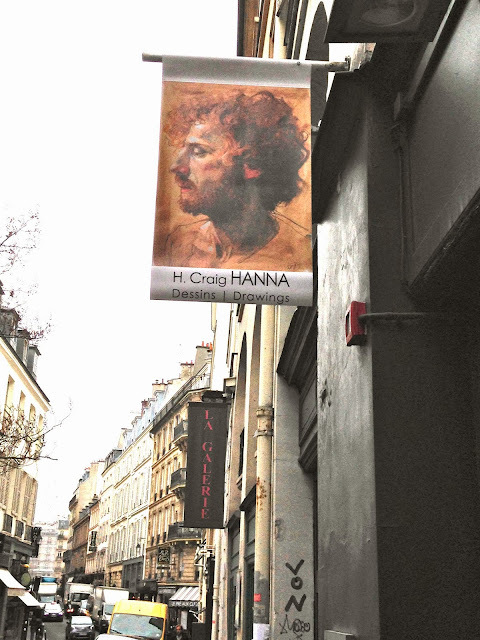 An enclave behind the Institut de France heralds entry into Literary Paris, where many writers, composers, artists, intellectuals and bons vivants flocked to in the early 20th century in search of the like-minded. 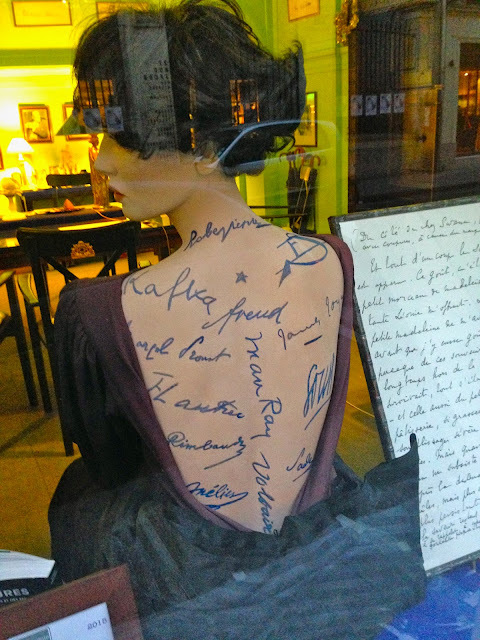 Authenticated original manuscripts and scraps of writings by the likes of Sartre, Kafka, Freud, Proust, Man Ray, Voltaire, Rimbaud and other luminaries are for sale in a Left Bank shop. 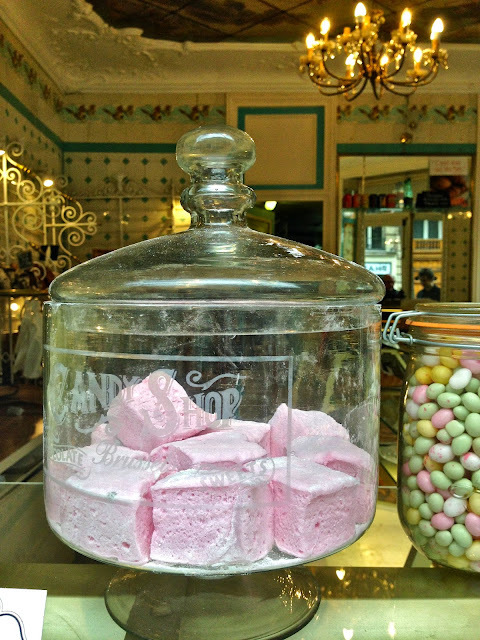 Many local pastry shops make their own guimauves (marshmallows) from scratch. These giant raspberry-flavored ones will disappear fast. A man browses through used books in bins outside a papeterie that's open late. Up on the butte stairways lead to other stairways. 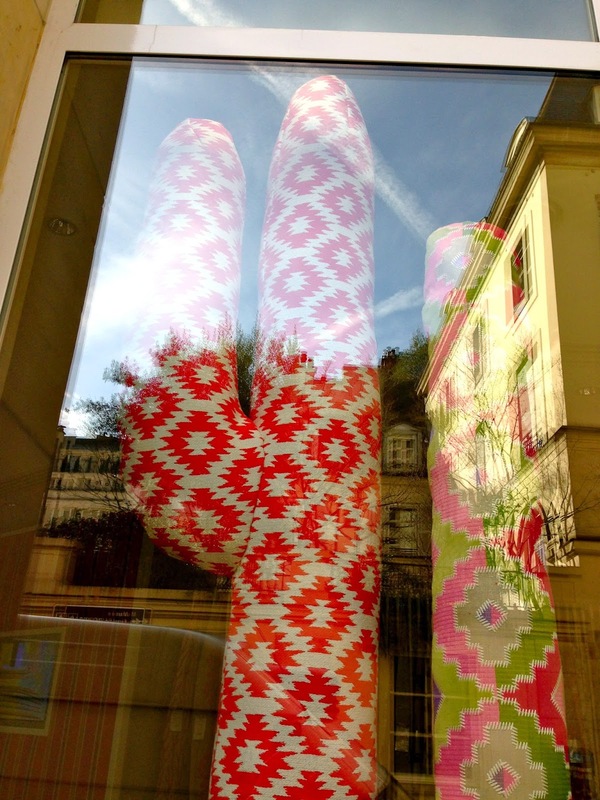 In a corner, graffiti lends a splash of color. A tempting array of ready-to-eat sausages hangs in a window.